Wacku may look a bit scary but he is the sweetest little dog with so much love to give. It’s amazing that Wacku can even trust any humans after what one did to him. 7-year-old Wacku spent 5 years living in a shelter in the Phillippines after one horrific incident in 2012 that left him brutally maimed. 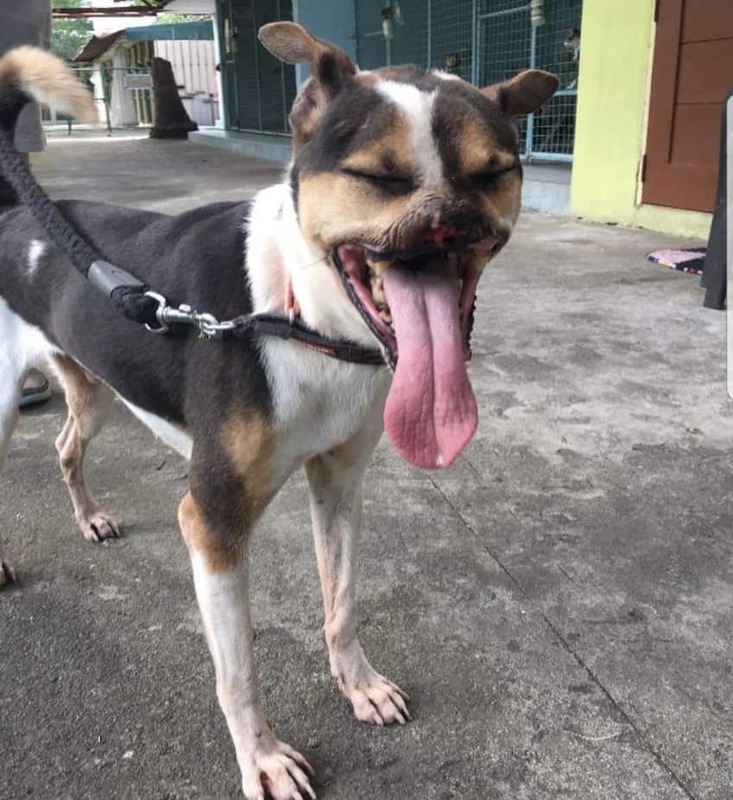 The loyal pup was guarding his owner’s tricycle when a drunk man with a machete walked up to him and sliced off the majority of his snout. How anybody could ever harm an animal is beyond my understanding, but to do it so viciously is truly barbaric! Miraculously, Wacku survived his terrible ordeal but he was left missing the top half of his snout. 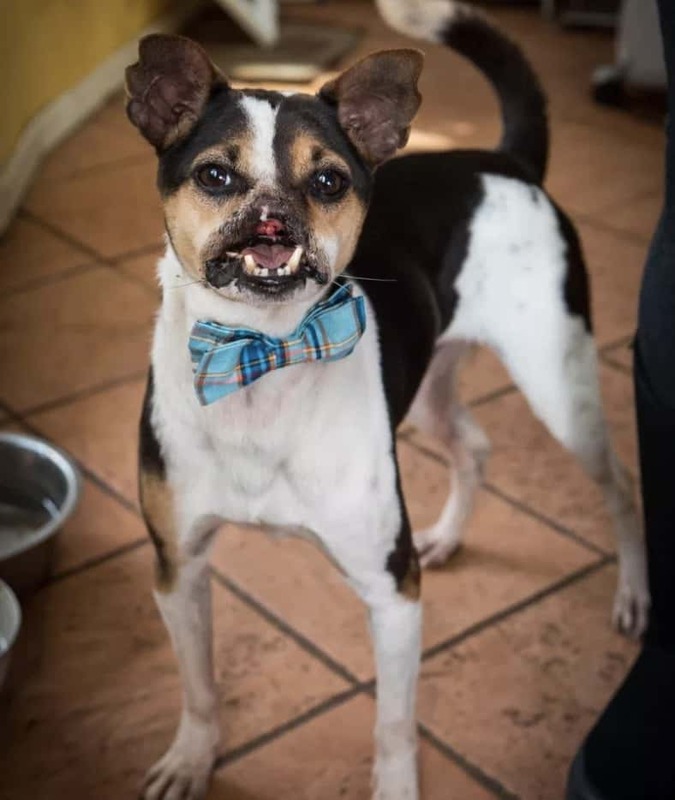 Wacku waited five years for somebody to come along and see past his startling appearance to love him for the kind-hearted dog he is. 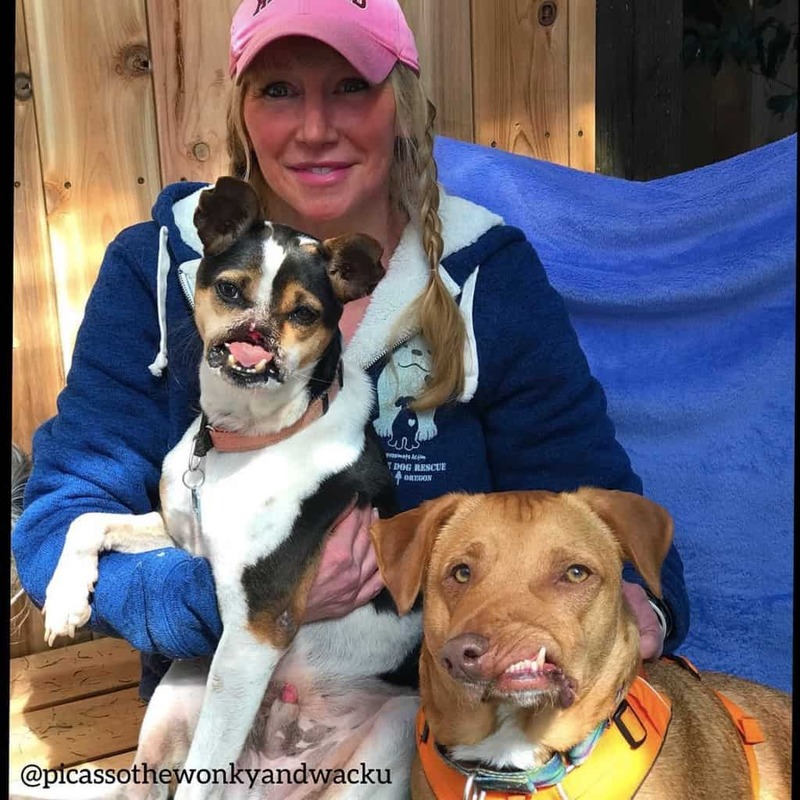 When the American animal welfare group ‘Road Dogs and Rescue’ heard about Wacku’s story, founder Nikki Carvey decided to travel to the Phillippines to rescue him. Nikki traveled 8,000 miles to bring Wacku back to the U.S for adoption. When Liesl Wilhardt, an Oregon resident, saw a video about him online, she immediately fell in love. Liesl is the director of a non-profit called ‘Luvable Dog Rescue’, so she is no stranger to adopting animals. (Especially ones that others shy away from due to their appearance.) She had already rescued a loveable pitbull-corgi mix called Picasso who had a facial deformity. 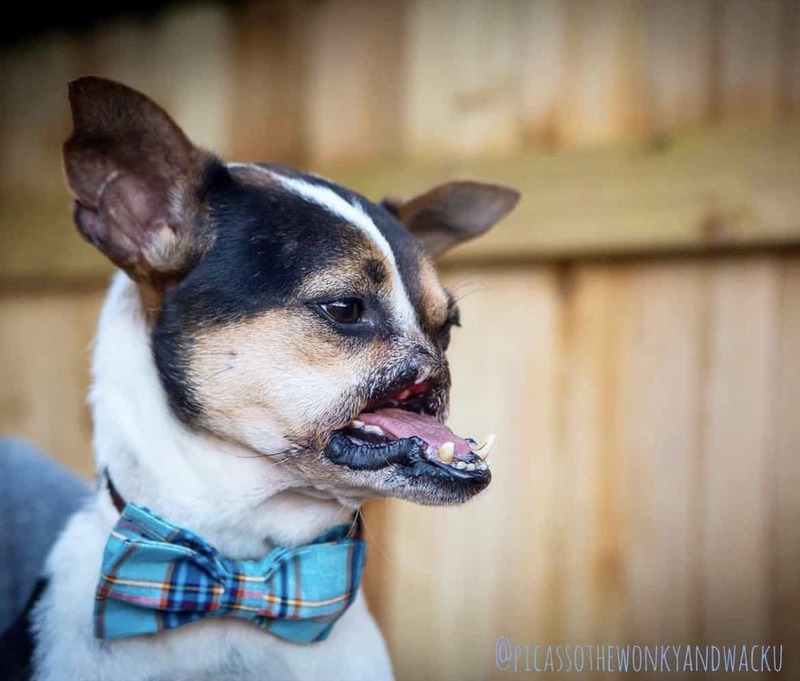 Picasso’s snout falls to the left while his jaw goes to the right. 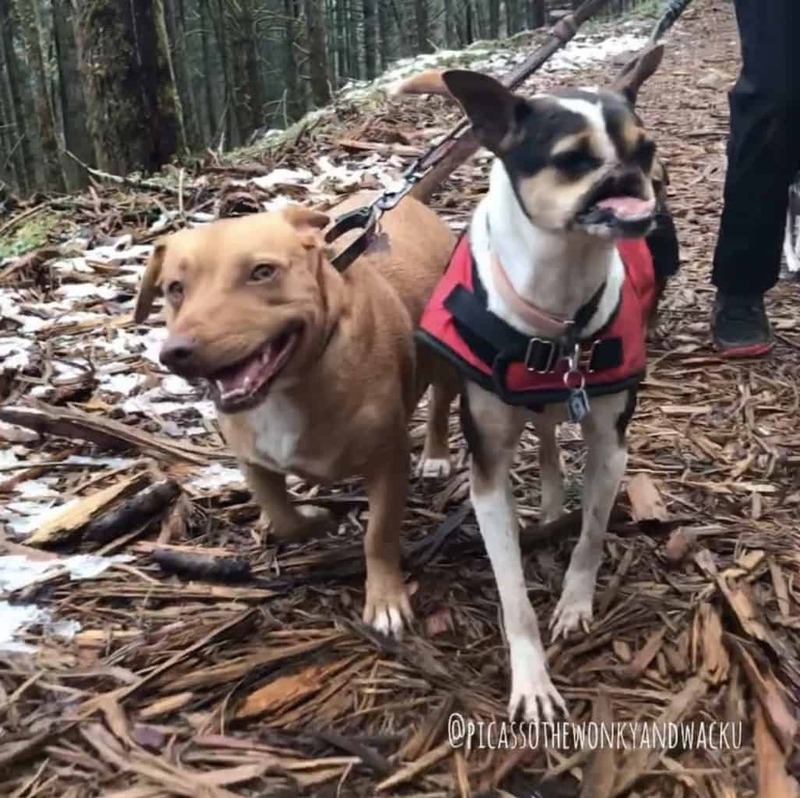 Wacku and Picasso fast became friends and they live and play happily with Liesl’s eight other dogs on her 55-acre property. Wacku is in the perfect place now as the other dogs don’t notice there is anything different about him. 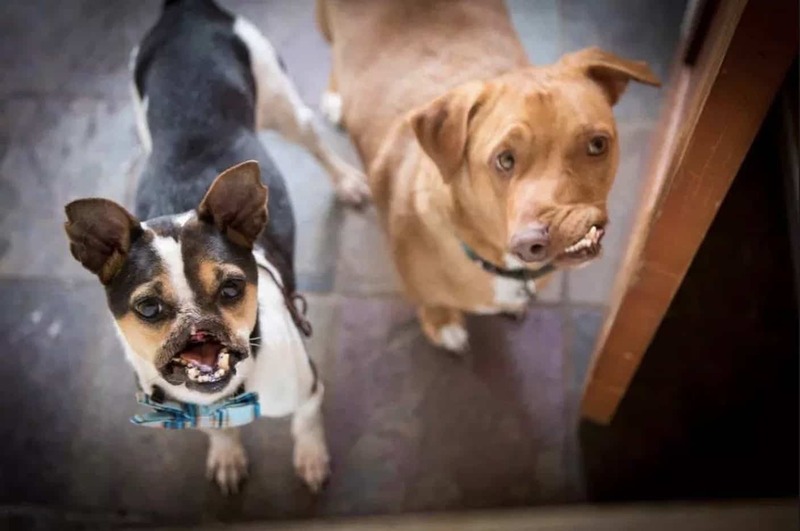 Picasso and Wacku are exceptionally calm, tolerant and social dogs and they don’t notice each other’s physical differences. The cool thing about dogs is that looks don’t matter. If it smells like a dog, it’s a dog. Wacku still gets strange stares from humans. People who pass him in the street stop dead in their tracks and look horrified. However, as soon as they get to know him they realise just how normal he is. [He] has lost half his face and it’s crazy at first, but he acts so normal and happy. Once people get to know who he is on the inside they forget about it. He seems to recognize almost right away when people are good and is incredibly affectionate. He climbs into my lap and licks and kisses me, which is a really weird feeling when he has no upper face. Because of Wacku’s extreme case of abuse, it pushed lawmakers in the Phillippines to make changes to animal welfare laws. Abusers will now get heavier fines and sentences for their cruel actions. Despite everything Wacku has been through, he is a little trooper. He doesn’t let his affliction hold him back from being a happy little dog.